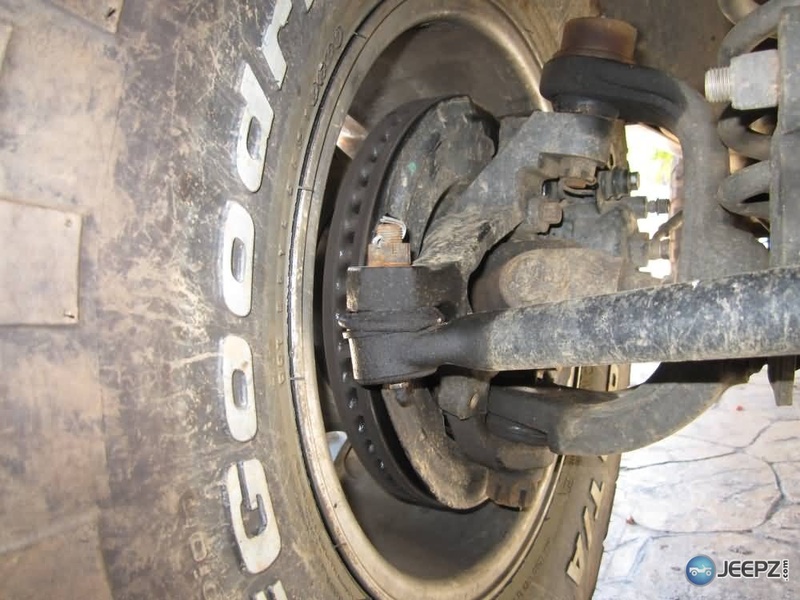 Death Wobble is the shaking that happens when the front end components of your Jeep end up reacting to, or fighting each other - the end result is a violent shaking of the wheel, the Jeep itself shaking like crazy, and you eventually needing new pair of shorts. 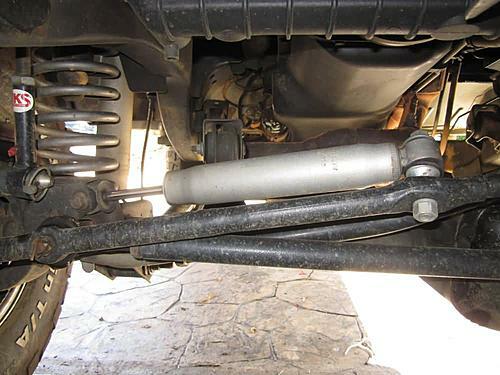 Death wobble is most commonly seen in Jeeps that have just been lifted, but can also be found in stock Jeeps. There are two aspects that contribute to make death wobble. First something to begins to wobble, like a tire imbalance or hitting a pothole or bump in the road. The second aspect is generally a loose or worn part that allows the minor wobble to escalate into full-blown death wobble. Toe-in, caster setting, and tire balance all help contribute to the beginning of a wobble. Loose/worn parts like the front track bar, steering, and control arm bushings contribute to the second phase, when the wobble is exaggerated into DW. CAUTION: Suspension components with rubber/urethane bushings (except stabilizer bar) should be tightened with the vehicle at normal ride height. It is important to have the springs supporting the weight of the vehicle when the fasteners are torqued. If springs are not at their normal ride position, vehicle ride comfort could be affected and premature bushing wear may occur. Last edited by TerryMason; 07-07-2012 at 08:55 PM. Front Alignment - an out of align suspension can contribute to death wobble. If you've recently installed a lift kit then you'll need to either get an alignment or do one yourself.. If you get it aligned, make sure you go to a shop that can (and will) adjust your caster, either by caster bolts or via adjustable control arms (note that several years of Wranglers do not have caster bolts from the factory, and will need to be upgraded). Once you pay for an alignment have them print out the numbers for you, you should have 7* of positive caster angle if you don't have a lift (more on caster below). Last edited by TerryMason; 01-13-2014 at 01:24 PM. 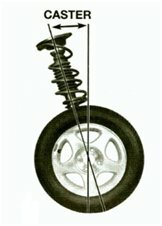 Unbalanced tires - unbalanced tires will exacerbate death wobble. Try moving your front tires to the back and see if there is a difference, if there is then pay to have them balanced. If a tire/wheel requires more than 6 ounces of total balance weights you should probably not run it on the front of your Jeep (move to the rear axle). The reason tire balance plays a role in death wobble is that something needs to start the wobble, and an unbalanced tire that hits a bump will normally be enough to put the front suspension in motion. Tire damage - In addition to balancing, you should verify that your tires are round, and don't have any warping. Put front end up on jack stands. Spin both tires to check for excessive wheel/tire runout or damage. Inflation - verify that your tires are running at the correct pressure. Over-inflation can cause problems. Last edited by TerryMason; 01-13-2014 at 01:25 PM. 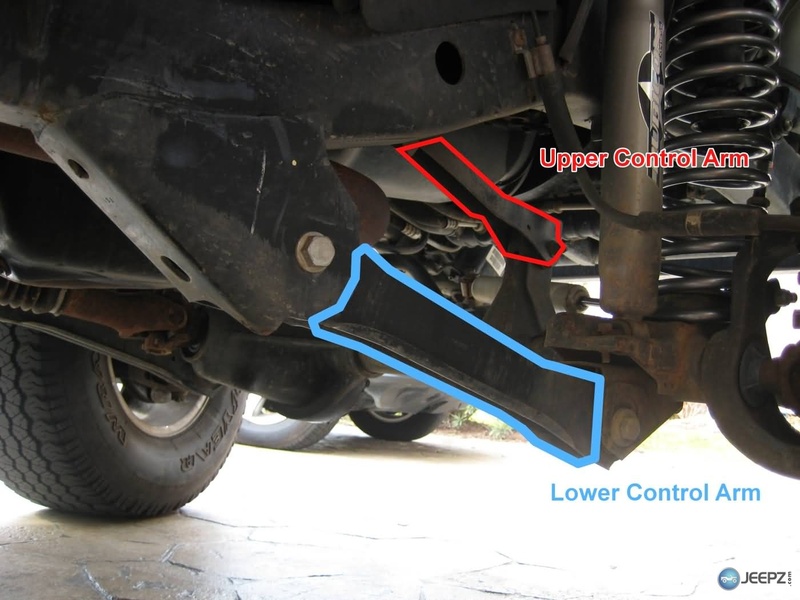 Caster Angle - When you install longer coil springs or spacers on your Jeep, the tire will be pushed down, away from the Jeep, but the control arms will tend to pull the axle back. The fix for this is to move the axle forward slightly, either via cam bolts or adjustable control arms. Cam bolts are adjustable bolts that were installed on earlier TJs that allow you to easily dial in your caster angle. If your Jeep doesn't have cam bolts, they can normally be purchased at the dealership. If you have a larger lift than cam bolts can accommodate for, you will want to look into longer upper or lower (or both) control arms. Last edited by TerryMason; 01-13-2014 at 01:48 PM. Trackbar - Check to see if your axle is out of center (if the axle sticks out farther on the driver side than the passenger). This is caused by a trackbar that is too short. Also check that your trackbar is tight, and the mount holes have not "wobbled out". Verify that your track bar bushings are good, and don't have any slop in them. 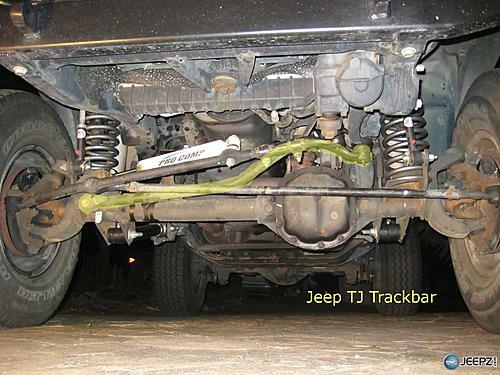 If you have lifted your Jeep but have not installed a longer trackbar, you'll normally find that the trackbar is doing two things pulling the axle over to the driver's side, and pulling the front of the Jeep down. 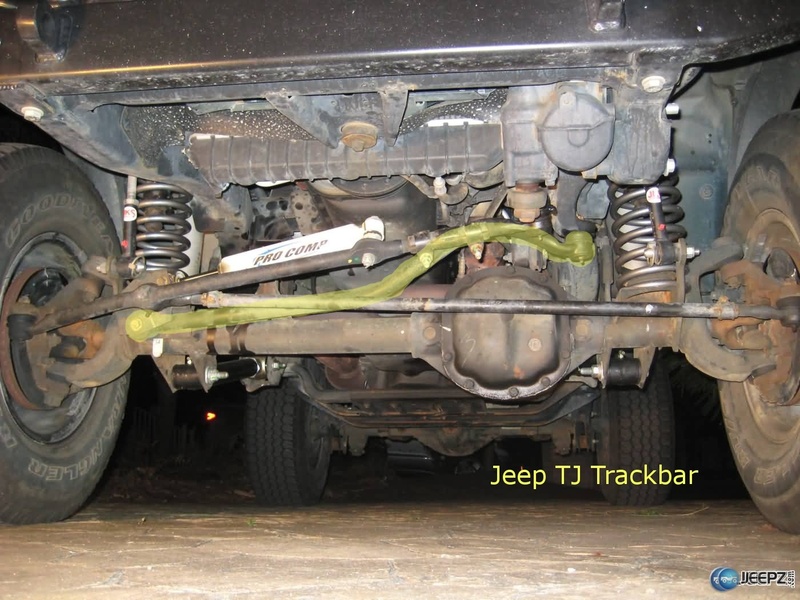 One way to test for wear in the trackbar bushing / bolt is to have someone start the Jeep, engage the parking brake and put it in neutral (park for an auto). Lay down in front of the Jeep. Focus on the bolt that goes through the bushing where the track bar mounts in the bracket there on the passenger side. As you watch that bolt, does it move at all? Does the front of it stay in place, but the back moves? Does the bushing give noticeably before "catching" and then shifting the Jeep? If any of that is happening, then the BACK side of the bolt hole is likely no longer circular or the bushing is just plain worn out. This happens often on TJs and XJs. Tragic flaw. Once that happens, the trackbar no longer has a good stiff mount and even that little amount of give is enough to translate upstream and cause death wobble. You should also look at the other end (the frame side) of the trackbar for similar movement. Last edited by TerryMason; 08-31-2014 at 08:27 AM. Control arm bushings - check to make sure that your control arm bushings are not worn out. These rubber bushings will often get enlarged and allow for slop in the suspension system. Remove an upper control arm and inspect the bushing, looking for cracked and worn rubber, replace and do the same for a lower control arm. 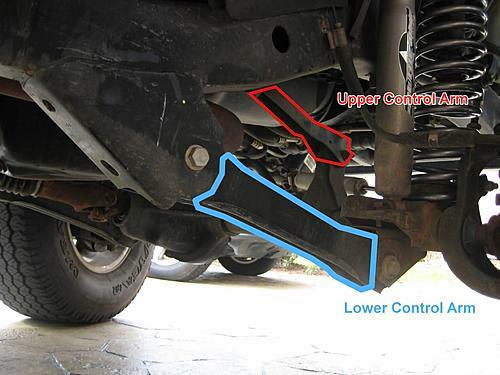 Skip this step if you are getting new control arms. 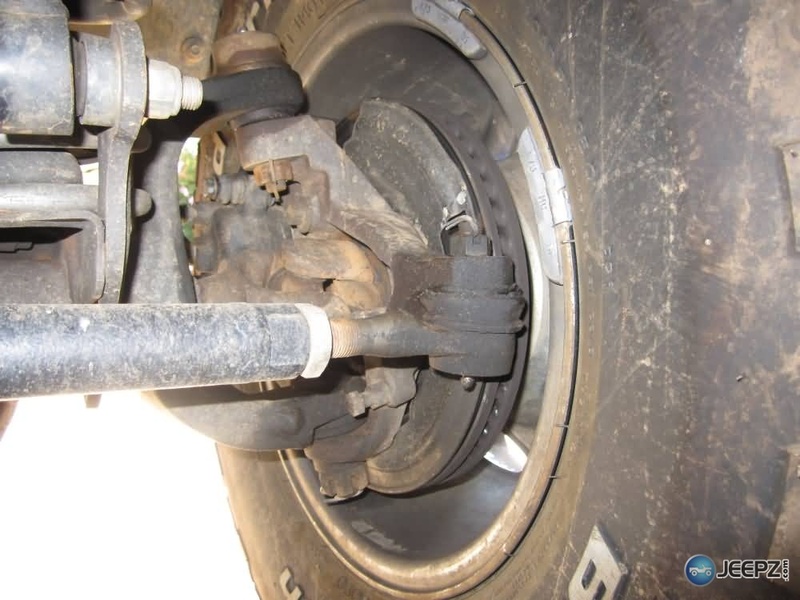 Adjustable control arms - if the cam bolts were not enough to return the proper axle angle or your control arms are too short for your lift, you may need new adjustable control arms. This is really just an extension of number 3, caster angle. Longer control arms will push your axle farther forward than stock control arms, allowing you to increase your caster angle. An added benefit of new control arms is that you"ll get fresh new bushings as well. Last edited by TerryMason; 07-14-2011 at 08:57 AM. Steering stabilizer - a worn out stabilizer seldom causes the problem, but it does add to it. Replacing the stabilizer will help dampen any vibrations - make no mistake though, just because the stabilizer has reduced vibrations that you feel, the vibrations are still present in your suspension system, and will ultimately surface again. *note - Death Wobble can cause the fluid in the steering damper to create air bubbles, ruining the damper. Bounty_Hunter's shop recommends replacement on any vehicle that has experienced DW due to this. Last edited by TerryMason; 02-27-2013 at 12:43 PM. Warped rotors - While it's not common, warped rotors can start your death wobble in motion. If you don't have anti-lock brakes, drive down the interstate and press the brakes in order to stop quickly, if your rotors are warped, you'll feel the pedal fluctuate. Note that anti-lock brakes will mask the pulsating feeling. Last edited by TerryMason; 09-13-2011 at 12:18 PM. 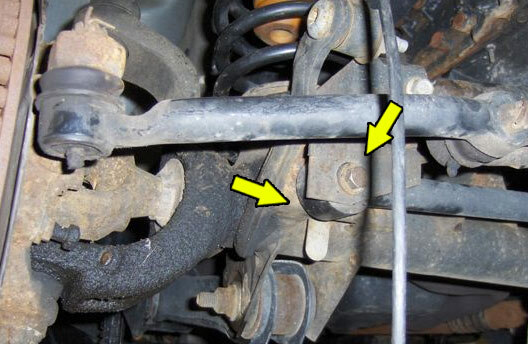 Worn tie-rod ends - A worn or bent tie-rod end will allow more play in your steering system, and can cause death wobble. A good method to check for slop in your tie rod is to jack up the front of your Jeep, grasp a front tire at the 9 and 3 o'clock position and wiggle the tire. Have a friend watch the tie rod for any movement. Last edited by TerryMason; 05-09-2016 at 08:55 PM. Worn wheel bearings - Worn wheel bearing will contribute to Death Wobble as well. Lift your front axle up, and grasp your tire at the 12 and 6 o'clock positions and attempt to wiggle your tire. If you feel any movement then you've likely got worn wheel bearings and they should be replaced. 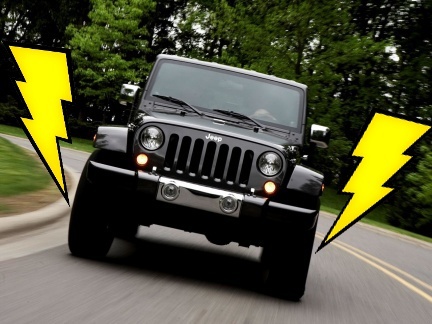 I experienced the death wobble on my 07 wrangler unlimited with stock every thing at only 36,000 kilometers. I took it to the dealership and they told me the anti sway bar shock was leaking and worn out. It was replaced with an OEM one and that seemed to fix it. I haven't had any problems since. Good article. My death wobbly was in the rear. The spring mount was rusty which broke and spring bent my new bds shocks. New trackbar didn't help. I still got some work to do. 98 wrangler, 6" lift. I experienced the DW in my 07 Jk unlimited with stock suspension. I took it to the dealership and under warranty, they replaced the steering damper. That fixed it and it hasn't happened since. I started having a dw on 50 after i had my 03 tj 2" lifted with 32s. It happens mostly on 2wd. I replaced the steering damper, balanced my tires and alignment new ball joints. New tie rods 7 months old track bar. The only thing I haven't replaced is the stock sway links and I'm wondering if that could be the cause?! Welcome to the Z. Highly doubt worn swaybar links would allow a vibration to escalate into Death Wobble. I'd inspect both ends of the track bar closely while somebody cycles the steering back and forth against full-lock. Also check the control arm bushings for tears. Thanks ill try that. I have a feeling it's the stabilizer I replaced the stock one with 9550 Teraflex a week ago after I lifted it. All this information is really good if I had any idea what all of this meant (((... I'm having the same problem with my Jeep Wrangler 07' and I've done the tire roatation and balance and the death wobble hasn't stopped. I can't go over 40mph because seconds later you'll see me pulling over to make a complete stop in order for this death wobble stop. Can anyone explain to me what I can do or where I can go to get it fixed I'm scared to get myself in am accident especially when I'm on the freeway which I use a lot andd dealership is just a joke they won't help at all. Have all your front end steering and suspension components checked by a qualified front end specialist if you don't know what to look for. Excess end play between a tie rod, ball joint and a steering gear box for example will give the total stacked amount of end play way out of the specified tolerance. A good specialist will do a once over visual of the front end checking for an obvious wear or damage. Then , the ball joints and tie rod ends checked with a dial indicator to measure end play and compare it to the factory specs. Bushings needs to be checked loaded and unloaded. Steering damper needs to be checked for a flat spot( skipping). Next is Alignment. There's a narrow window where the toe, camber and caster should be to get the optimum range to prevent a death wobble but only IF the front end suspension and steering is within specs. Oversize tires sometimes are difficult to balance. A good off road shop should be able to determine if using a bag of beads to balance the tires are the best option or stick on weights. Death Wobble? More like Horrific Murder Wobble!